Jay Xtreme Active Wheelchair Cushion Skin Proctection. 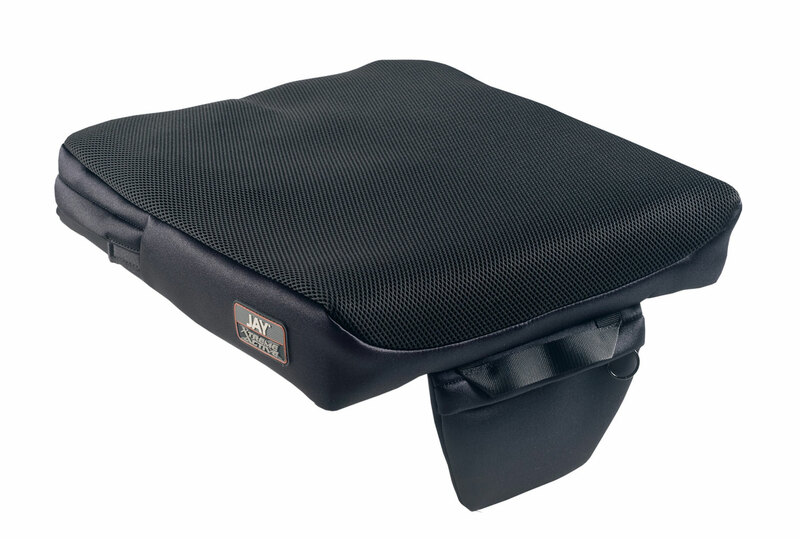 The JAY Xtreme Active is a lightweight and low profile wheelchair cushion for active performance and easy transfers. Designed to provide both pressure relief and stability to active users, the JAY fluid pad insert maximises skin protection and reduces shear on the active user. The dual cover system promotes air flow and dissipates heat and moisture effectively. Thigh positioning can be achieved through retrofittable leg support components. 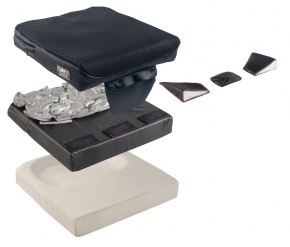 Available with the standard base, the standard fluid pad gives a moderate-to-high level of pressure redistribution. Alternatively, the large fluid pad has a higher amount of fluid for greater immersion and pressure re-distribution of prominent bony areas of the pelvis and hips. It's designed for wheelchair users with advanced muscle atrophy who require more fluid but don't want a heavier, high-profile cushion. It comes with a base with a larger pelvic loading area. The most perfect cushion for the active user, who can manage with just enough gel under their buttocks to relieve pressure rather than gel across the entire cushion surface. This enables you to keep cooler underneath. The small pocket that hangs from the front is handy too for life's little needs in emergencies.